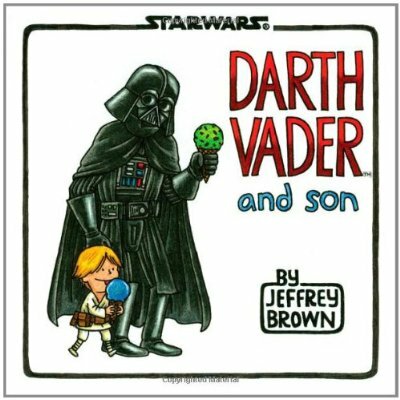 Turns out, it was a link to this DesignTaxi article about a fun new Star Wars-inspired book called Darth Vader And Son. 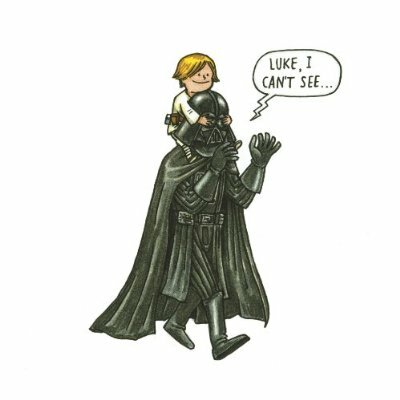 What if Darth Vader took an active role in raising his son? What if "Luke, I am your father" was just a stern admonishment from an annoyed dad? In this hilarious and sweet comic reimagining, Darth Vader is a dad like any other-except with all the baggage of being the Dark Lord of the Sith. It looks really cute, although there are several reviews that complain the book is not memorable and wouldn't be a good bedtime story. But I think they missed the point. I think this is destined for the coffee table not the bedside table, like All My Friends are Dead. 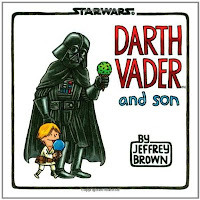 Although the cartoons are cute, I think it's more intended for us grown-up Star Wars fans who now have our own kids. And if you take it in that spirit, I think it's funny and clever, and could get a few laughs from your Star Wars-loving friends.